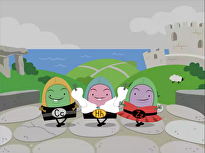 Learning addition is as easy as 1-2-3! 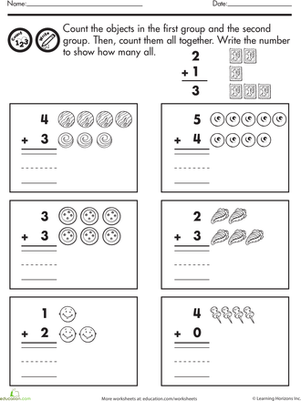 Give your child a head start on addition with this counting worksheet. She'll count up the objects in each group to get the answers to these single-digit addition problems. 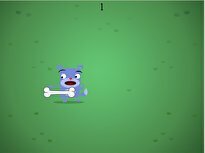 Let your kindergartener find out as he learns to count and add. It's a numbers party, and all the balloon animals have numbers on them. Kids completing this kindergarten math worksheet color and count ones with the number 3. 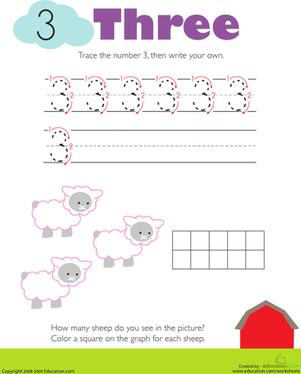 Counting is easy as 1, 2, 3 with this fruity worksheet! Practice counting these fruits out loud with your child. There's more to add than meets the eye! 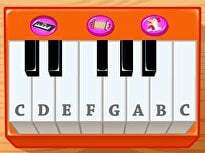 Your kindergartener will follow the directions to draw more objects before adding them all together. Using fingers to count and add up numbers is encouraged here. 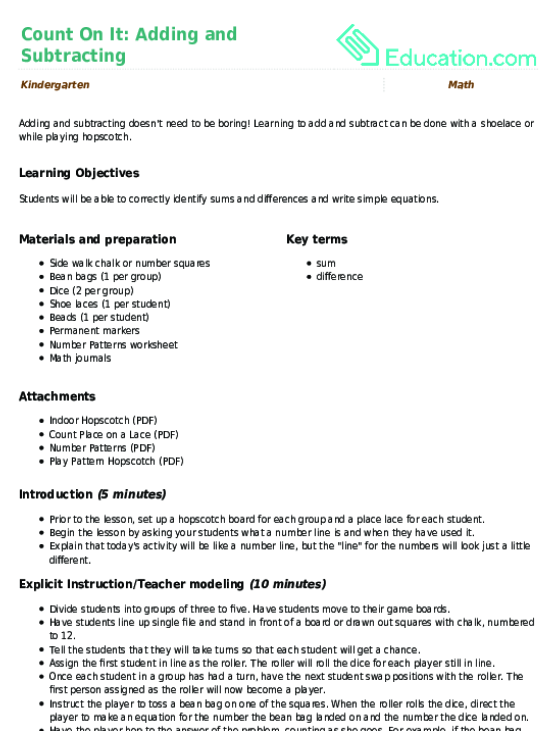 Your child will continue to practice addition problems with this handy addition worksheet. 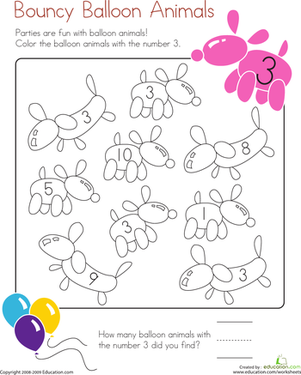 This math and coloring worksheet focuses on the number 3. 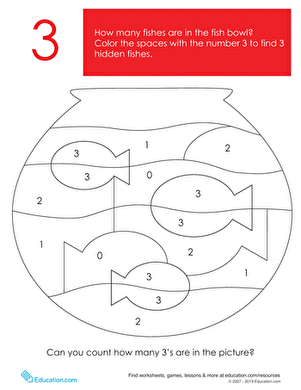 Kids color all of the spaces with the number 3 to reveal a hidden fish picture. 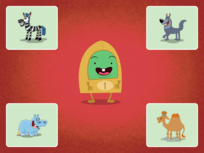 See if your kindergarten math whiz can add three!